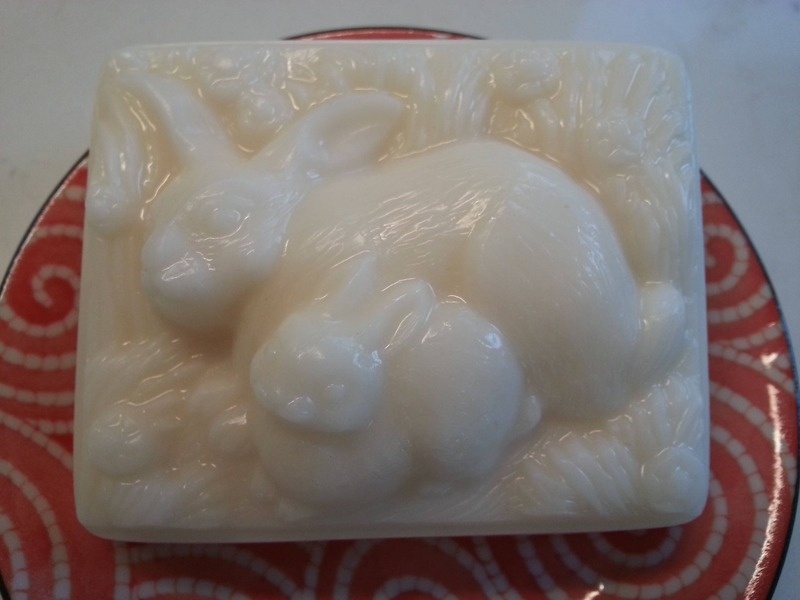 Individually crafted bunnies bar glycerin soap. This is a hefty, generous bar of soap, weighing in at about 5.3 ounces. Smells like honey vanilla custard! Infused with skin soothing honey, and scented with vanilla. Will come in an eco-friendly compostable clear cello bag. Size: 4" x 2" x 1"
Ingredients: Coconut Oil, Palm Oil, Safflower Oil, Glycerine (kosher, of vegetable origin), Purified Water, Sodium Hydroxide (saponifying agent), Sorbitol, Propylene Glycol (made from vegetable glycerine), Sorbitan oleate (emulsifier), Oat protein, Titanium Dioxide (mineral whitener used in opaque soaps), essential oil(s). Yes, large custom orders can be created for your special event! Convo for specific details. 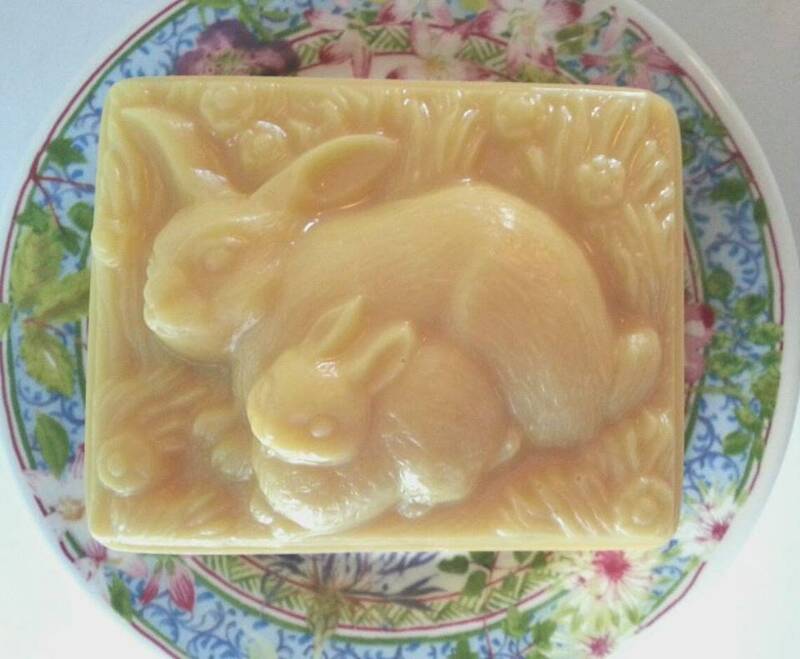 Approximate sizes of the soaps are listed within each soap listing, along with the approximate weights. 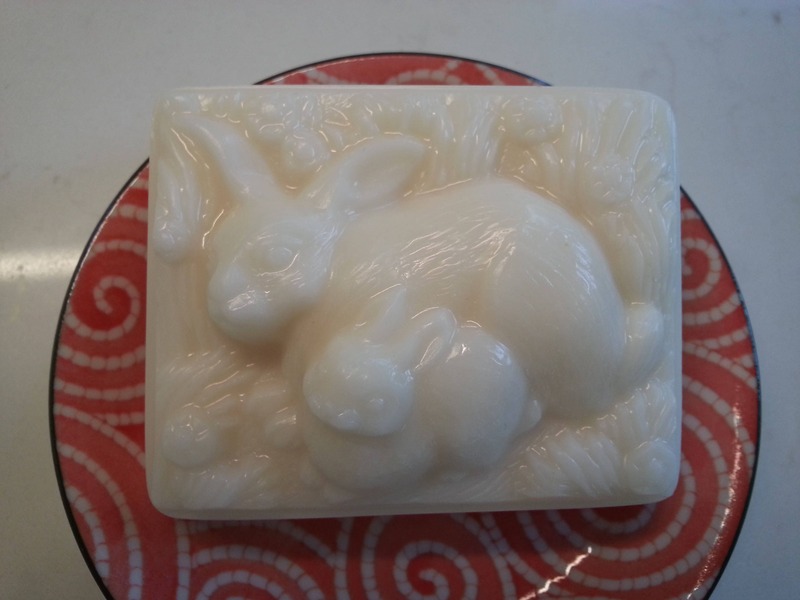 Please keep soap in a cool and dry place until use, and please treat as the fragile works of art they are! The soap's natural glycerin means that it may form beading if kept in a warm and/or humid place, which can often be removed by wiping down the soap and/or placing out to dry. Natural colorants may migrate or change when wet or over time. We use eco-friendly clear compostable cello or brown paper bags to package our soaps. The environment is important to us!